This worked for Radix so I'm going to give it a try here! 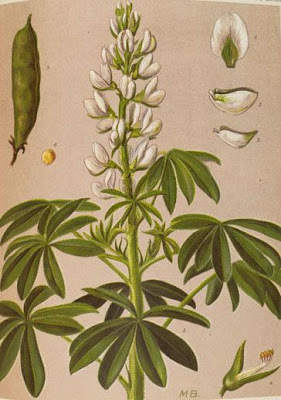 I've become entranced at the thought of growing some 'edible' lupin seeds. But for some reason I can't find many suppliers of seed for cultivation, which is surprising really since they are becoming recognised as a potentially valuable new/old crop. Can anyone direct me to commercial sources for obtaining seeds of Lupinus albus, Lupinus angustifolius, Lupinus hirsutus or Lupinus mutabilis, ideally already selected for low toxicity and high yields? Or even send me some samples? I know Chiltern Seeds are offering some but there's no indication of the provenance and I was hoping to jump straight into the sort best suited for consumption. By the way, just in case anyone reading is wondering about the edibility of their garden lupins, please don't try them. They will make you feel quite sick. I don't know of any commercially available sources of the Kiev variety of Lupinus albus, which is one of the most common edible varieties but I might have some ancient seeds of it lying around. I'm pretty sure I've got Lupinus mutabilis, aka tarwi as well - it's a beautiful plant. Unfortunately slugs love lupin seedlings. I think some research was being done on breeding a UK overwintering white lupin, but I don't know how far they got with it. I wonder whether the best use might be to turn them into tempeh, seeing as they have to be processed to render them palatable. Lupin tempeh is supposed to be delicious. I certainly will, remind you that is! Tempeh sounds a good idea. We sometimes get them here as beer snacks or in olive mixes but never as an unprocessed dry commodity, otherwise we could plant those. Make sure the cats don't choke! They don't like human food at all, at least not the sorts of things we eat. Crow sometimes licks tomato sauce but that's about it. They much prefer dragonfly, mouse and baby bird.